Crinoids are echinoderms and are true animals even though they are commonly called sea lilies. The body lies in a cup-shaped skeleton (calyx) made out of interlocking calcium carbonate plates. 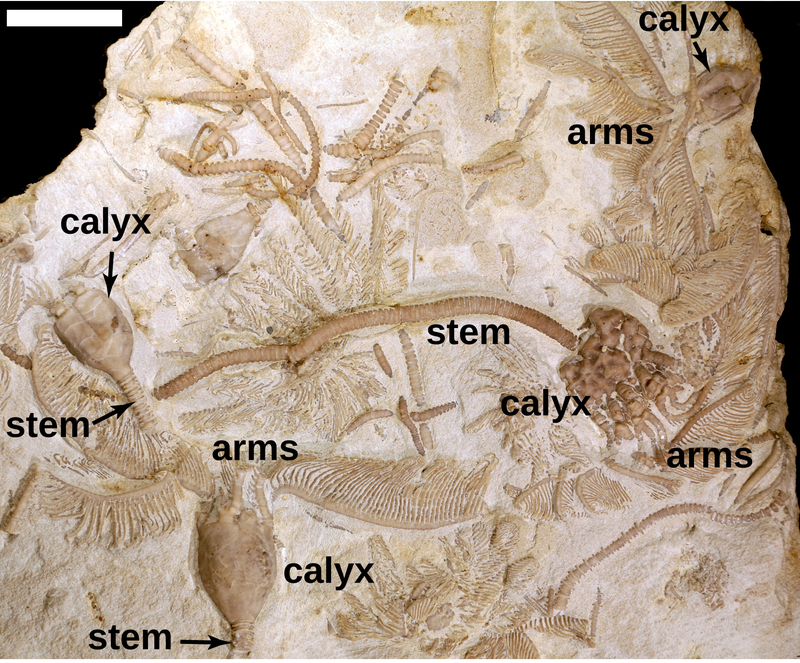 Arms attached to the calyx also have a plated skeleton and are used to capture food particles. In most species, the calyx is anchored to the sea floor by a stem made of a stack of disk-shaped plates. The tissue that holds the plates of the stem, calyx and arms together will decay quickly after death. 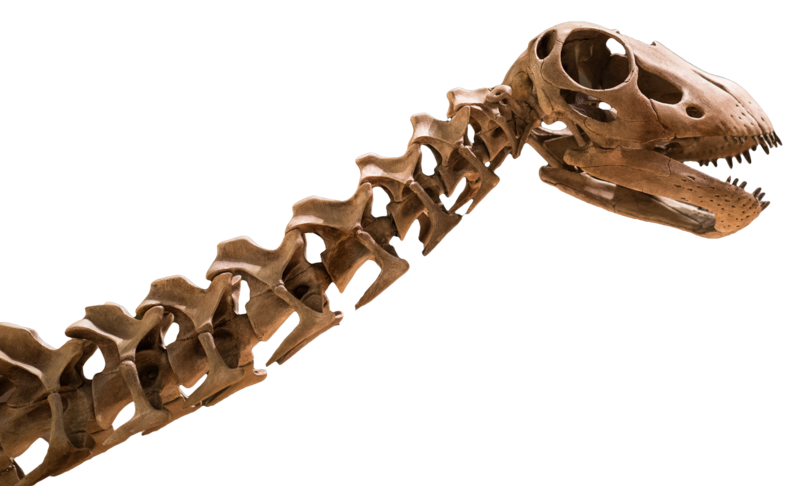 The skeleton usually falls apart and the plates are scattered by waves, currents or scavenging animals. Rare complete specimens, like those in the images above, were probably preserved when the skeleton was buried soon after death. Crinoids are suspension feeders, capturing food particles from the surrounding water with tube feet on their arms. Crinoids are saltwater animals and most live attached to the sea floor by their stalks. A few modern species have lost the stalk and can swim by moving their arms. 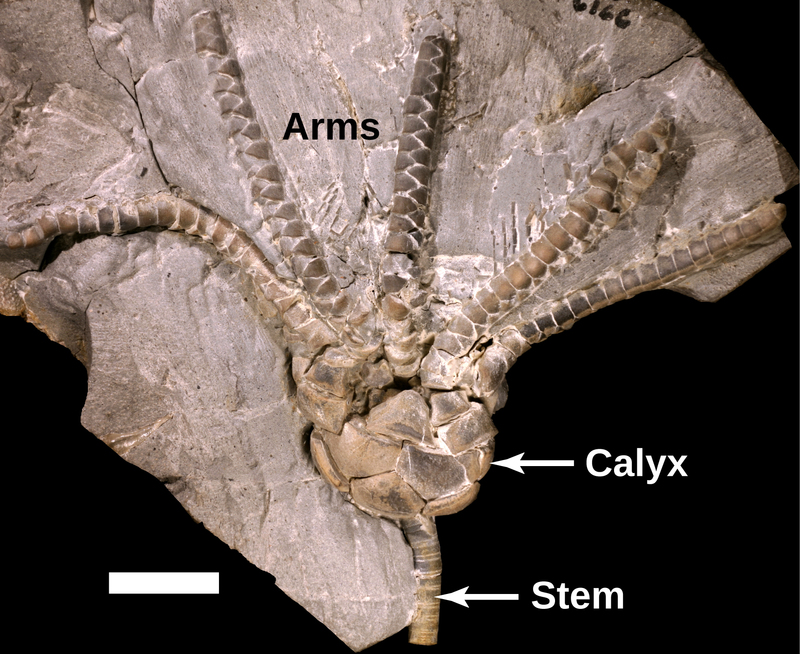 The oldest crinoids are found in rocks of Cambrian age. They are common in the Paleozoic Era but not in younger time periods, perhaps because of the presence of more predators in marine communities. They are relatively rare in today’s oceans. Remains of crinoids are common in the Paleozoic rocks, although complete specimens are relatively rare. Most exposures of marine rocks contain disk-shaped plates from crinoid stems. The Sam Noble Museum has specimens from Ordovician, Silurian, Devonian and Carboniferous rocks.